Point-of-view marketing through social media can very effective when supported with proper brand positioning. Successful aviation brands at their core hold a philosophy about how they will conduct their business, treat their employees and customers, and contribute to the betterment of the aviation industry. In social media terms, this is the brand’s point-of-view. 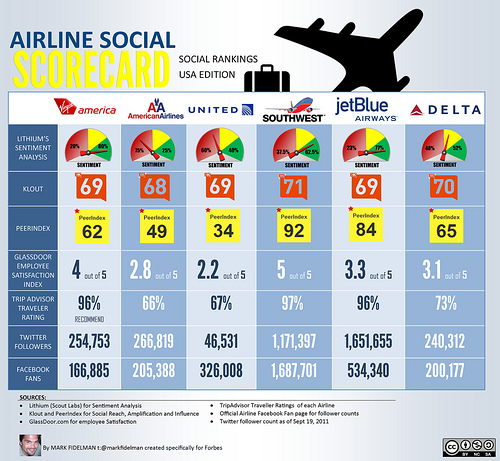 Just as the brand’s point–of-view provides a rich area for social engagement, aviation marketers must identify the brand’s value proposition and unique selling proposition (USP) to create a sustainable, healthy brand. For aviation marketers this represents a convergence between brand positioning, product & service attribute/benefits, and brand beliefs and philosophy. Value Proposition – The benefit your product or service delivers to your customers. The value proposition is the fundamental positioning of where your product or service sits on the spectrum of customer needs. In analog terms, it’s the 60-second elevator speech that explains your company’s offering. Unique Selling Proposition (USP) – A description of your product or service that differentiates it in a way that will make customers prefer and purchase your brand over the competition. Point-of-view marketing is about communicating your brand story. This is important in social media because it invites engagement, opening dialog between your brand, customers, and prospects. Point-of-view is about what your brand believes and your philosophy on how a market should best be served. An ideal document to lay the foundation for point-of-view marketing is your company’s mission statement. Interesting point-of-view marketing can drive social engagement. However, one should take into account that brand authenticity and a differentiated, unique selling proposition form the foundation for a brand’s success in the battle for brand supremacy.